BRANDS: My preference is Vandoren Blue Box 2 or 2 ½ for young clarinetists. Since most clarinetists here in the U.S. begin in a wind ensemble or marching band setting, the sound that is demanded is a bigger and bolder sound. For this reason, the clarinetist should look for a reed with enough strength to withstand powerful air at strong dynamics. STRENGTH: Depending on the strength of air and the size of the player. Story Time: About 10 years ago, I taught at a summer camp for kids of all ages. I had the opportunity to work with some great little clarinet players. In one particular class, there was a little girl who was SO TINY! Her fingers fell into the tone holes on the right hand and she looked like she was playing a bassoon; the clarinet was so big in comparison. She could barely make a sound on the instrument because she was so small. MORAL: This student didn’t need to be on a reed stronger than a Vandoren 2 (Vandoren makes 1 1/2s by the way). Meanwhile back at the ranch, when I was in 6TH GRADE, I was already 5’4” and looked like an adult. It really just depends on the kid. I was quickly moved up to a 2 ½ and a 3 by the end of my sixth grade year. REED SELECTION: Although most beginners are just focused on making a decent sound on the instrument, it’s never too early to become aware of the various parts of the reed. REED STORAGE: Saving reeds in the little plastic case that they come in is not as safe as putting them away in an actual reed case. The purpose for this is to keep the table of the reeds flat. LIFE OF A REED: Depends on how often they are played. When you first purchase reeds, it’s best to buy at least 4. Rotating them is best. Don’t play the same reed every day for over a week because by the fifth day it’s too old and plays poorly. If you purchase a box of 10, chances are that only about 3 will be pretty good. The rest will be too soft, not well balanced, and not fixable therefore they can only be used as practice reeds. New Reeds: Don’t play brand new reeds that much straight out of the box. Play for a few minutes then put the reed away. Keep doing this for a week so that the reed can become acclimated to the environment (humidity), and will slowly become more consistent. Week Old and Prepared Correctly: A good reed should last about a week if it is prepared as listed above. Try not to play your good reeds at home during practice. Save them for important performances or playing tests. Old Reeds: Old reeds can be rejuvenated by dipping them into a zip lock bag or a small cup of hydrogen peroxide. With the zip lock bag you use less hydrogen peroxide. Dip the reed in for about 10 seconds then pull it out. Rinse the reed with water and pat dry. The reed should last another day or two before it needs to be tossed. Special note: Toss the reeds when the get chips in them!!! WHEN TO MOVE UP A STRENGTH: When you find yourself having to hold back on air to make a sound and you can feel the reed closing up against the mouthpiece (you’ll hear a hiccup in the sound) then it may be best for you to move up a strength. At first, buy just 2 reeds of the new strength. 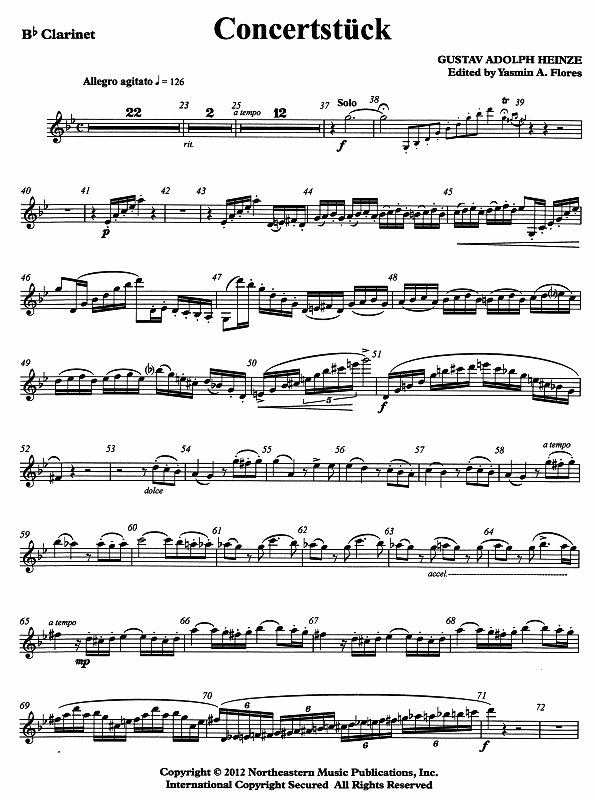 For example, if you use Vandoren 3 then go to Vandoren 3 ½. Then if these are way too hard you can work them in. Just play on them a little every day for about 3-5 minutes. By week’s end, they will be easier to play on.